Rappelling down a waterfall can one hell of an adrenaline rush (or so we hear), and the best time to do it is during the monsoon. Here are 5 places you can head to, for waterfall rappelling. Dudhiware waterfall near Lonavala has a height of around 135 ft and is very popular for rappelling. There are several groups that host day-trips here, like Adventures365, Plus Valley Adventure, Wandering Souls, etc. with costs ranging between INR 1200 - 1749 per head. Standing at approx. 100 ft, Bekare waterfall (named for the village) near Bhivpuri is also an extremely popular spot for activities like rappelling and 'Flying Fox'. Midas Adventure, 99Hikers, Mapping Journeys, etc. host trips through the monsoon, priced between INR 1000 - 1400 per head. Also near Bhivpuri, the Diksal falls are 115 ft high, and the trek to get here is one of the most scenic ones, offering views of Dhom Dam and Matheran. Groups like Midas Adventure and 99Hikers host activities here, priced between INR 950 and 1050. Kondana is a small village near Karjat, famous for its Buddhist caves. We found groups like 99Hikers that conduct waterfall rappelling here, priced between INR 1050 and 1838 on select dates. Torna Fort near Madhe Ghat is especially well-known for its scenic views, waterfalls, history, and terrain that's ideal for trekking. 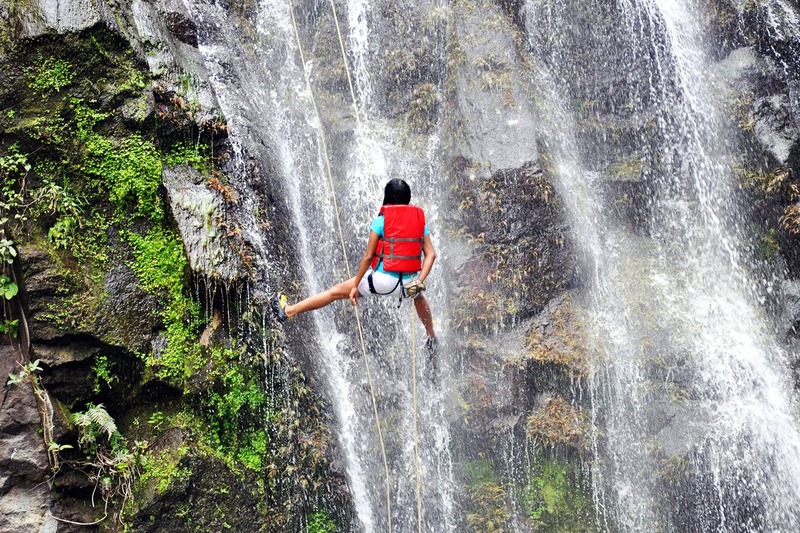 Plus Valley Adventures hosts waterfall rappelling packages here on select dates, for INR 1418 per person.